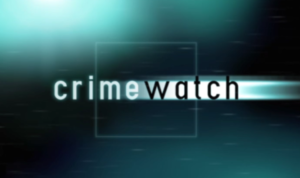 Have South Yorkshire Police Jeopardized My Mum’s Murder Investigation? Call after call, knock after knock, Camera man after camera man, News of the world, daily mail, Hallam FM, BBC Breakfast everyone wanted to know my story the boy who created a website to find his mum’s killer anyway more to the point of this post. The first time i was contacted by South Yorkshire Police about my mother’s murder was in July 2008 around the 11th anniversary of my mum’s murder, Exactly 2 month after i created the website www.WhoKilledMyMum.com seeking justice for mum. Someone will now be held accountable for my mum’s murder and we could grieve knowing those responsible had been caught.. at least that’s how i felt at the start. Because if we asked questions. we got answers or so it seemed sometimes they would be delayed answers but we still felt like we got answers if not by the SIO by family liaison officer who was in regular contact. Before all this started we thought my mum was found murdered under a mattress, but when i asked the police in 2009 whether they still held the mattress in there possession for possible DNA testing we was made aware it was in fact a divan bed base that they do still have in their possession but it was lost somewhere within South Yorkshire polices storage Facility’s. I also asked the police what other evidence they had and i was made aware of some CCTV footage they claimed to have of my mum in the days prior to her murder but when i requested to view this i was refused on a number of occasions but ill relate to this later in my post. My point is this information came in not because of the police making appeals but because of My website, My articles, My determination to keep this in the public eye. This information came in 11 years after my mum’s murder, I was 16 years old. To look back now i think why was i responsible to deal with all that and have to publicize my mum’s murder myself to get information to come in for the police to act on. Why wasn’t the police already doing this? why wasn’t the police trying to get that information? I know someone out there has the information they need. The police know there is someone out there who has the information but what actually are the police doing to get that information? They have tried telling me they have made appeals by commenting on articles i have exclusively gotten printed myself yet what have done themselves. The same they have been doing for the last nearly 19 years NOTHING.. Unless someone does come forward with information or the killer/s walk in and hands themselves in i’m guessing it will be the same for the foreseeable future. And which is why i need to keep this out there i need to keep doing the articles, I need to keep the website up the blog, facebook and twitter pages active, I need to know those responsible may think the police have given up finding you but i haven’t. I wont! 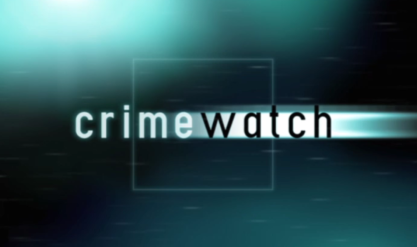 Crimewatch is a long-running and high-profile British television programme produced by the BBC, that reconstructs major unsolved crimes in order to gain information from the public which may assist in solving the case. I argued then that the media attention was mainly centered around myself and the website i didn’t feel as though they can class a few articles in the paper as enough media when crimes are featured on crimewatch which aren’t as violent, also other cases similar are featured within a few weeks of occurring my mothers murder hasn’t been featured once in the nearly 19 years since her body was found on hartley brooke and her murder has remained undetected since. I was told i would be contacted, The next time i was contacted i was informed we was appoint a new SIO.. this was during the same time i had a complaint submitted to the IPCC in regards to south yorkshire polices handling of my mothers murder. Back in 2012 some more information came in i tried to contact who i thought was the then SIO in my mum’s murder to find out he no longer was working on the investigation and the case didn’t have a SIO so eventually i got in contact with a detective who was working alongside our family liaison officer back in 2008 and by now we had questions that we wanted answering unfortunately he didn’t have the answers and it took nearly 2 years to be appointed a new SIO. In 2013 after we was appointed a new SIO and met some new detectives we was told the same story of we want to find them do all we can ect but for some reason again i regained some confidence in south yorkshire police thinking now we have someone who is serious about this and i thought eventually maybe we could see south yorkshire police doing something. I wanted to know if South Yorkshire Police still had the bed base my mum was found under as we wanted to know if it had been forensically tested and if not could we have it tested. I also requested to know whether they held any of the belonging they had taken of my mum’s which back in 1997 they took everything belonging to my mum of which none had been returned to me or mentioned about. We felt that the bed base could have provided some DNA evidence as those responsible had placed it on top of my mums body. And the fact we have been told different information was worrying. After submitting the initially complaint to the IPCC it was passed back to South Yorkshire Police to Handle. So I was scared not knowing what to do so i thought I’d try again to complain through the IPCC this was again sent back to SYP and I was contacted by a different officer who after lengthy phone call i agreed to a limited investigation we was then contacted by a different officer from SYP who when we met, we explained our concerns and gave him a list of questions we’d like answering. We asked them to try locate my mum’s belongings and possession’s and if he wasn’t able to do that to compile a list of the items that were originally taken. These to include the items of clothing my mum was wearing at the time her body was found. We already was informed that they had lost, discarded or misplaced my mums belongings so I wasn’t expecting anything other than to hear they were lost. His findings were just that all items of clothing and possessions of my mum’s taken from our home on 3 occasions in 1997 and the clothing my mum was wearing at the time of her murder have been lost or destroy by South Yorkshire Police. This is a real concern for me and my family as its worrying that the findings from the investigation show that not only my mums investigation has missing property and records of where the property was located prior to 2003, other POTF registers across the county show signs of negligence among South Yorkshire police for this is reason i thought this should be looked into further. The clothing taken from my grandparents’ home must have been seen as relevant by the officers at the time to be taken, yet they was never forensically tested..
At the end of the investigation and complaint when we was informed they no longer have any of the clothing or possession’s i was given a letter from the cheif supt of south yorkshire police as an apology for losing my mum’s belongings no acknowledgement of the damage this could cause to solving the investigation or the fact they have lost everything of my mums. I can’t accept that the police have been able to just misplace so many items from a murder investigation. I’m concerned about what else could be missing as the officers finding reveal more area’s of concern. 27 items of clothing documented as taken by the police which had never been forensically tested could have provided some DNA evidence and by losing it whether or not they thought the clothing is relevant now they have also prevent myself and my family to have our own tests done on the clothing should we had wish to. But even more so to have something to own that belonged to my mum for myself. At our meeting with the new SIO in November 2015 and the Cheif SUPT, I again asked about the possibility of another autopsy report but was refused on the grounds I lost the first, this I feel is inconsiderate on the basis I have already seen the report and held it in my possession I can’t see a valid reason to not provide me with my mums own autopsy report and before they play the card about losing the original they can hardly complaint when they have lost 27 items of clothing of my mum’s yet they aren’t replaceable a paper autopsy is. I don’t trust South Yorkshire police right now, I see through the scripted meetings and false smiles same as i know they don’t trust what ill share on the website or blog but i have nothing to hide, I know what to say and what not to say that isn’t going to injure the investigation, me making public there failings isn’t failing my mum’s investigation anymore than they have already if someone does get arrested the findings from the investigation report as agreed by the detective who wrote the report can use the findings against and so the case is already jeopardized. The detective handling the limited investigation also highlighted he had been unable to locate a forensic psychologist report that south yorkshire police requested to be completed. 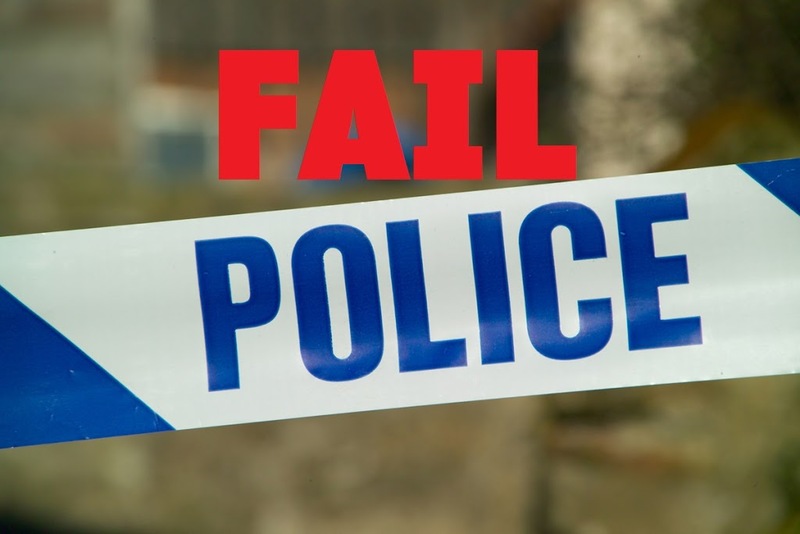 These failings by the police have possibly injured future development of the murder investigation and any future advances in DNA technology we will be unable to do as not only do they not have the clothing taken from my mum’s house, they don’t even have those she was wearing at the time of her murder. South yorkshire police have jeopardized this investigation from the offset. And the detective who investigated the complaint agrees in his report. The report also reveals a number of documents were also missing from the case files this again is worrying more files and property just misplaced and not documented by the police. It all seems to have been handled poorly and everything related to the investigation as been chucked anywhere and everything with consideration or effort to record property and case files, all these points are really concerning but the police or IPCC dont seem to take the seriousness into the negligence revealed so far. I’m only one person and can only do so much , we have been unable to resolve it so far over the last 2 years with south yorkshire police. If you managed to read this far thank you, If you have 5 minutes it would be great if you could help me by sharing my website, liking my facebook page or following my twitter page and resharing or retweeting my posters to help find who killed my mum. he detective handling the limited investigation also highlighted he had been unable to locate a forensic psychologist report that south yorkshire police requested to be completed. These failings by the police have possibly injured future development of the murder investigation and any future advances in DNA technology we will be unable to do as not only do they not have the clothing taken from my mum’s house, they don’t even have those she was wearing at the time of her murder. South yorkshire police have jeopardized this investigation from the offset. And the detective who investigated the complaint agrees in his report. The report also reveals a number of documents were also missing from the case files this again is worrying more files and property just misplaced and not documented by the police. It all seems to have been handled poorly and everything related to the investigation as been chucked anywhere and everything with consideration or effort to record property and case files, all these points are really concerning but the police or IPCC dont seem to take the seriousness into the negligence revealed so far. I’m only one person and can only do so much , we have been unable to resolve it so far over the last 2 years with south yorkshire police. So all i can do is hope that by continuing the website, facebook and twitter pages and keep trying to get media attention that one day someone will come forward or have that bit of information we need and south yorkshire police act on it and succeed i can hope but for now the future of finding those responsible doesn’t look good If you managed to read this far thank you, If you have 5 minutes it would be great if you could help me by sharing my website, liking my facebook page or following my twitter page and resharing or retweeting my posters to help find who killed my mum. Keep fighting the good fight kid, I knew your mum well and even hung around with her at times. I was only 13 when the terrible thing happened and I’d only seen her a couple of months beforehand, it was a big shock to me and my family as we’d known her since 1991 when we were on Buchanan Road. Shortly after i started the website i contacted The Star newspaper who wrote the first article about my website i admit, I was scared i didn’t know what would come of it if anything or if i was just making a fool of myself and i wasn’t prepared for what came next, Call after call, knock after knock, Camera man after camera man, News of the world, daily mail, Hallam FM, BBC Breakfast everyone wanted to know my story the boy who created a website to find his mum’s killer anyway more to the point of this post. The first time i was contacted by South Yorkshire Police about my mother’s murder was in July 2008 around the 11th anniversary of my mum’s murder, Exactly 2 month after i created the website http://www.WhoKilledMyMum.com seeking justice for mum. When i was first contacted by South Yorkshire Police i was shortly introduced to the senior investigating officer that had been appointed to the investigation i felt like i trusted South Yorkshire police at this moment i didn’t worry to much about what if anything had been done prior i was just glad that now it felt like something would be done, Someone will now be held accountable for my mum’s murder and we could grieve knowing those responsible had been caught.. at least that’s how i felt at the start.